How accurate does a mortise and tenon joint need to be? Measuring the strength of various joints in a test fixture. 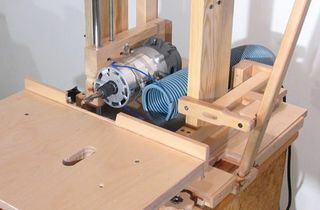 A a template based routing machine, cuts mortises, tenons, and a lot of other intricate wood joints. 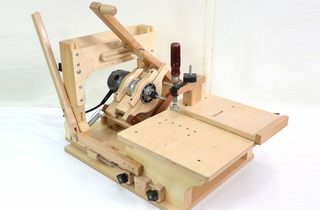 A very elaborate home made slot mortising machine, and ideal for double mortise and tenon joints, and a lot more. 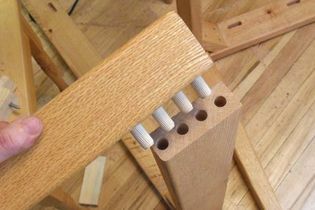 My quick set tenon jig, for cutting tenons quickly and accurately. 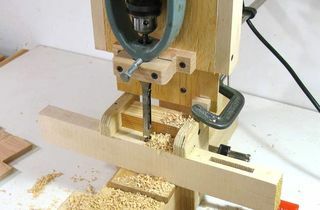 A home made slot mortising machine based on an X-Y mill/drill table found at a surplus sale. 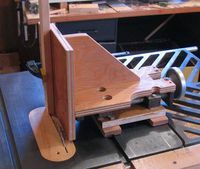 A very simple mortising jig using a table saw sled. Only took two hours to build. 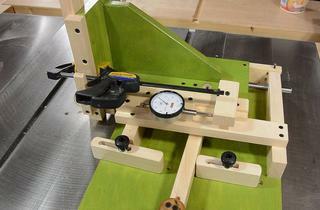 Reviewing the Delta tenon jig. Some of my previous tenon jigs. Having a look at an old professional chain mortising machine.